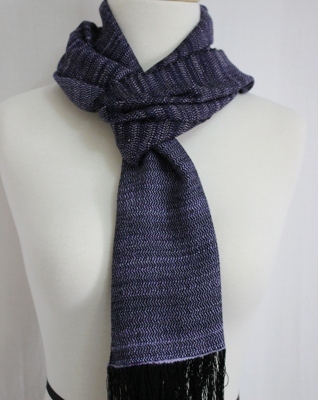 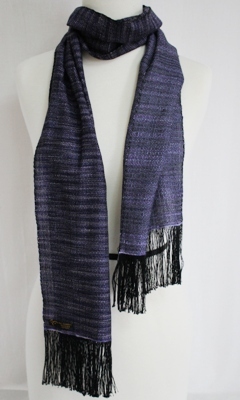 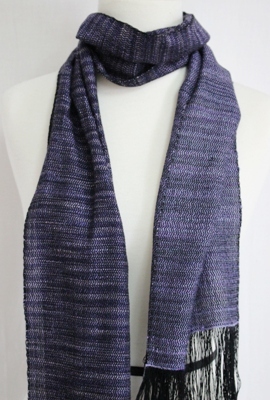 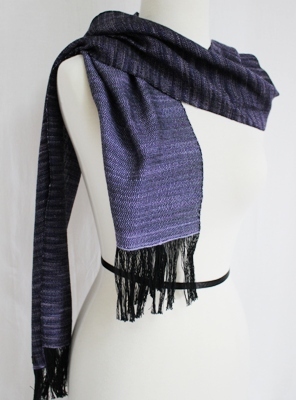 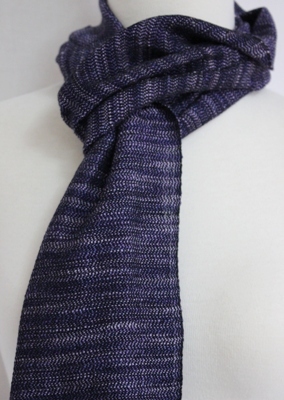 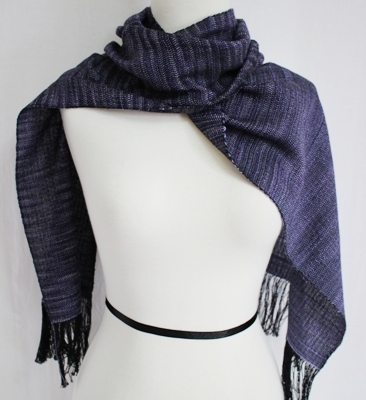 This handwoven scarf was inspired by the striations in a lovely, favourite piece of Amethyst. 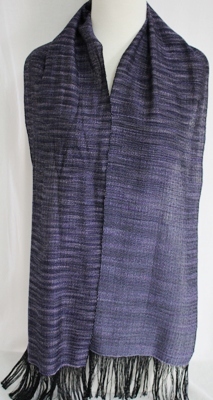 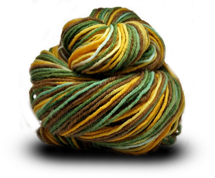 I came across some commercially dyed cotton/rayon, that immediately evoked the correlation between the yarn & the stone. 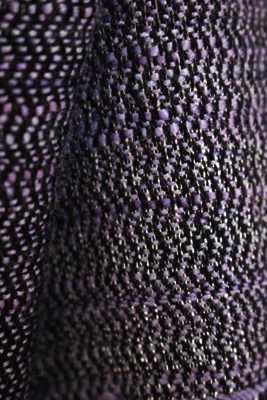 Melding it with some silk/rayon which I had hand-dyed, seemed the perfect marriage. 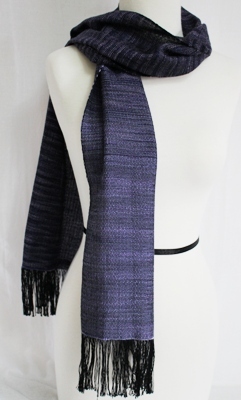 Just like the piece of Amethyst, the scarf goes from a quite striped pattern, blending into the lighter, more monochrome, silk/rayon. 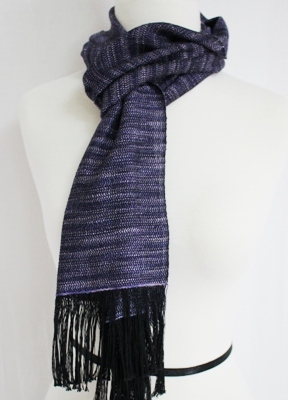 The black warp threads (vertical structure threads) add dimension and structure to the scarf. 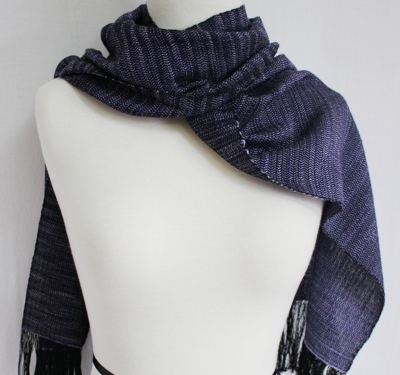 It's subtle, yet bold.